There Is Only One Beverly Crawford! There Is Only One Beverly Crawford! Beverly Crawford singing at the National Baptist World Center. Need we say any more? Enjoy this clip of John P. Kee and New Life Chorale singing Jesus is Real! They are assisted by Yolanda Adams, Vanessa Bell Amstrong, and Beverly Crawford. 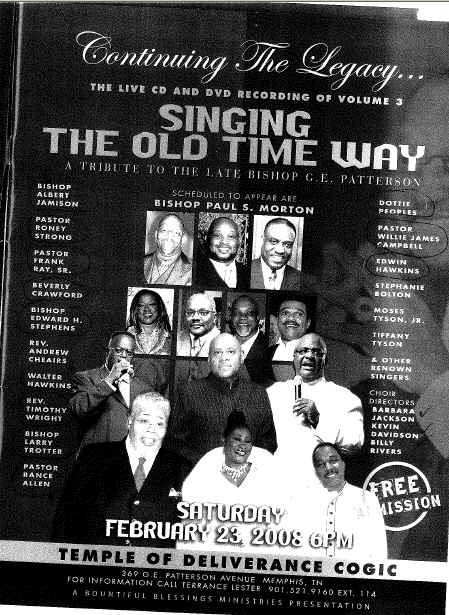 Watch Bishop G. E. Patterson’s Memorial Services! Enjoy these clips from the Memorial Services for the late Bishop G. E. Patterson! Beverly Crawford Leads Praise Break! Gospel Singer Beverly Crawford Leads Praise Break!